The little buddy of the original: a tender cake with a vanilla-flavoured creme filling coated in a chocolatey layer. 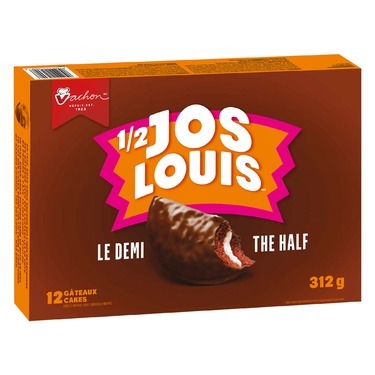 La tendre moitié du Jos Louis, un gâteau chocolaté, avec garniture à saveur de vanille. 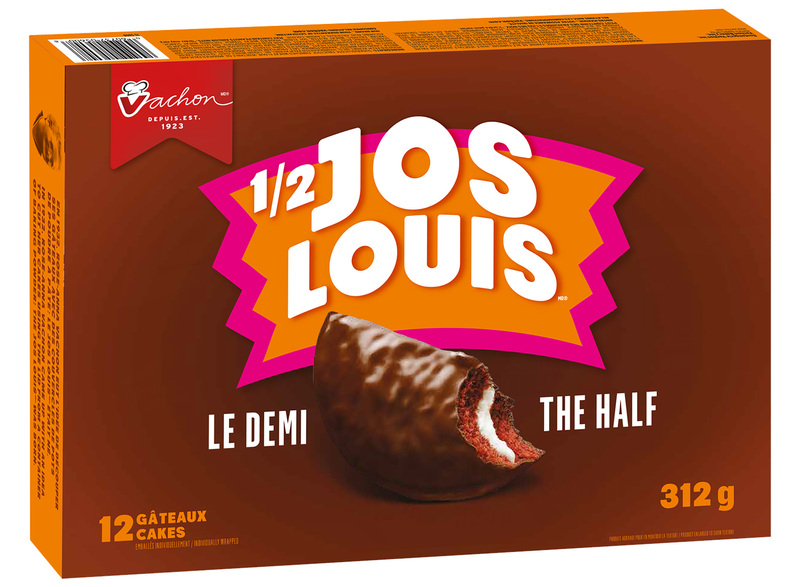 I received a coupon for a Vachon product so i brought the kids to pick something out. 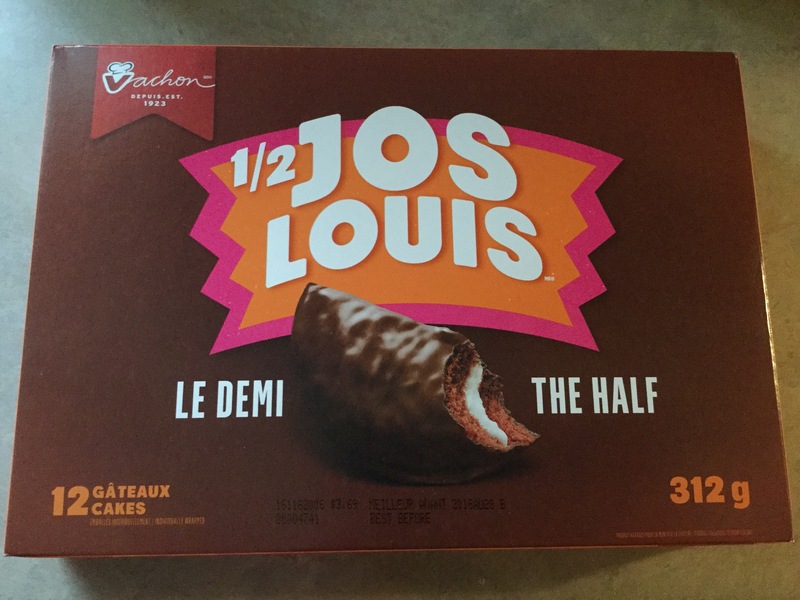 No surprise they chose 1/2 Joe Louis cakes! They love them for a treat and I love the option of size! 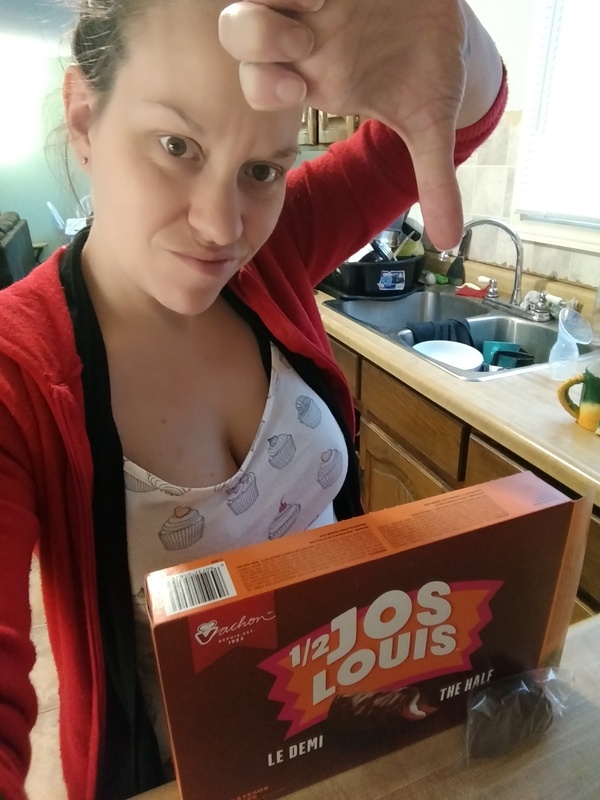 I recieved 1/2 Jos Louis from Family Rated complimentary to try and give my honest opinion on. Myself and 2 sons had such a fun time trying these snacks out. 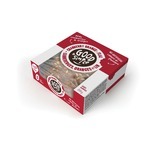 As a snack cake goes, these are a great option for a few reasons. These are super chocolatey, not too sweet and so delicious. 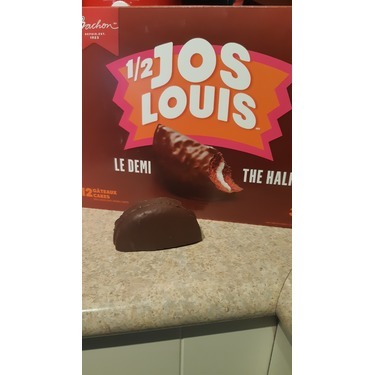 They are only half the normal sized Jos Louis, so I feel okay giving them to my kids as a yummy treat after finishing all their dinner. I also love the convenience of them, each are individually wrapped and great for the on the go or as a treat in kids lunch box. Overall I feel like these are great and yummy snacks/treats to have around the house for when you're craving a little something sweet. We highly recommend trying these. 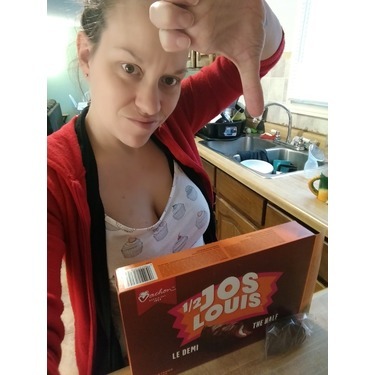 I received an opportunity to try and review Vachon’s Jos Louis peanut butter bars but I was unable to find them so they asked me if I could try the Jos Louis 1/2 cakes. I remember these from back when I was a kid. They were one of my favourite treats. 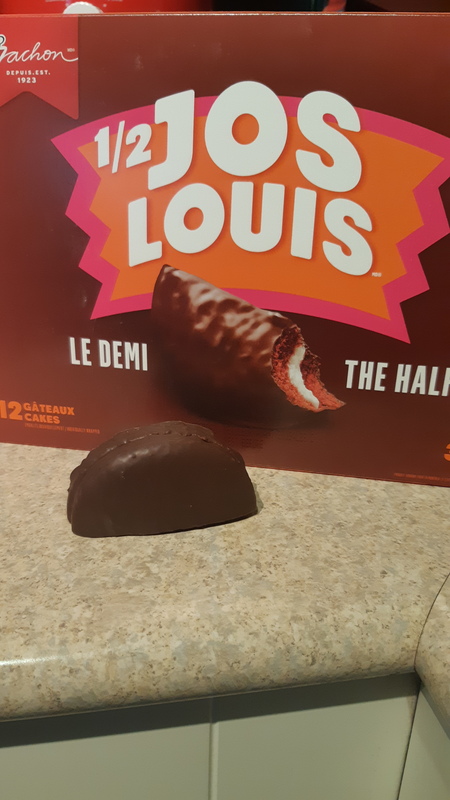 I thought there was no way they were as good as I remember them but was surprised when I took a bite because they were EXACTLY how I remembered them! I like how they’re available in smaller size portions so I can feel a little less guilty about having a sweet treat! They’re really affordable too which is always a bonus! 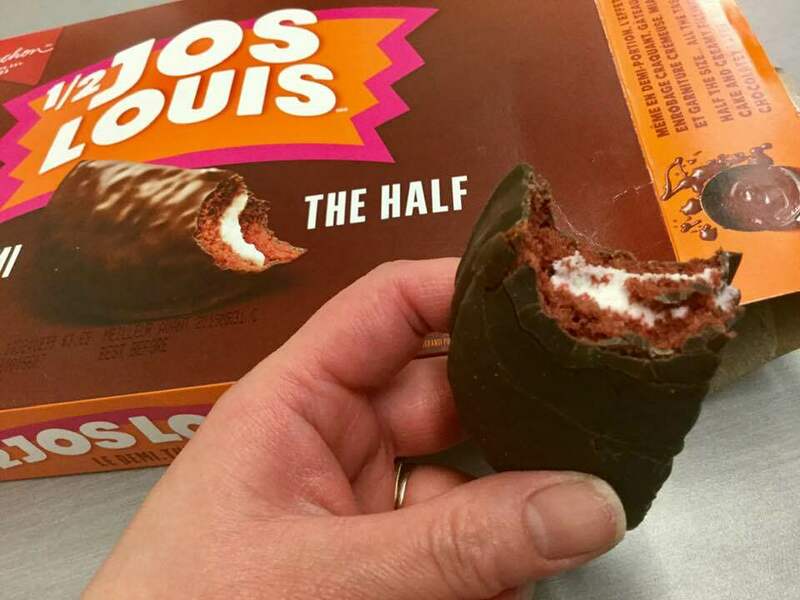 These 1/2 moon-shaped cakes take me back to my childhood to the days my grandma would visit a friend of hers and bring back these chocolaty cream-filled goodies. Back then there wasn't a hard chocolaty coating there is now on these cakes, but it gives it that extra dimension in taste and texture. A very yummy, light tasting chocolate sponge cake and vanilla cream filling through out. 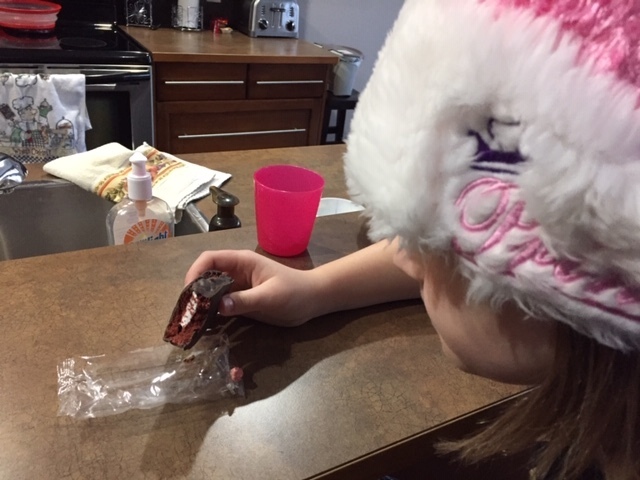 Now these are my daughter's favourite treat! They are the perfect snack size for a kids lunch pack and for us adults when we just want a small sweet treat!! Our family loves your product. It so good and yummy. My girls like to bring these to school for a snack. We will definitely buy this in the near future. I have never purchased them before I tried them with my coupon. I thought for some reason they wouldn't taste nice but let me tell you, they are delicious!! I love the texture of the chocolate outside with the soft marsh mellow inside. They have such a nice taste that goes well with either a glass of milk or tea. My son loves it when I put them in his lunch sometimes. Delicious!!! Whenever I would walk by these in the store I never bought them because I thought they would not taste good. Boy, was I wrong! 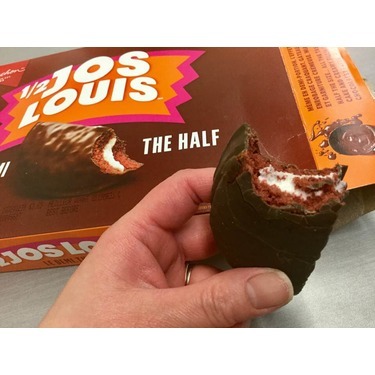 I love the chocolate cake taste and the marshmallow. They are filling and leave you satisfied. I will definitely buy these again. 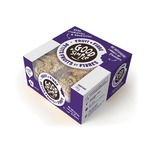 This product is a great hit with my kids, they can easily pop one in their lunch boxes and have a tasty treat at school. 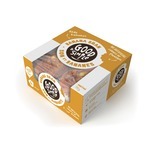 These cakes are moist, tasty and a great value. I would defiantly purchase this product again. It was a family favourite. Everyone love the chocolate cake , cream and chocolate dip proportions. It was a nice small treat to take anywhere for a quick snack or a lunch for schools. This product was fresh and flavorful. Great product to recommend for chocolate lovers. 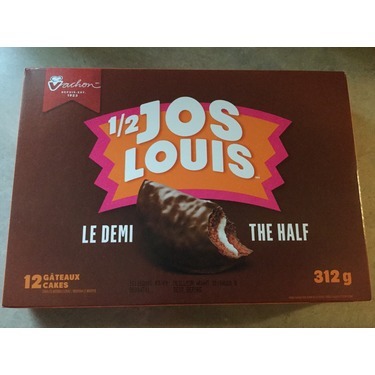 I love Jo's Louis!! I love everything about this snack. 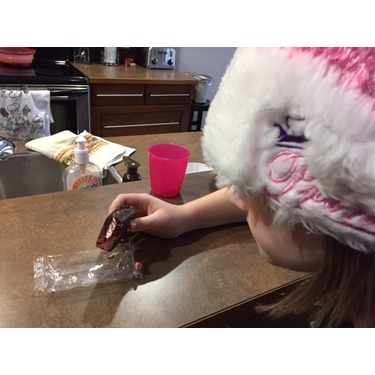 Has a great chocolate taste and the half size is perfect for an afternoon snack. They are also great value for money.